"Will Kemp, the fool of the Bard, trod the boards once more." Amid the assembled flags of modern republics in International House, Will Kemp, the fool of the Bard, trod the boards once more. The language of Elizabethan England echoed from the proscenium once again. However, what materialized on stage was not the same view of the era we’re used to seeing. The Newberry Consort’s most recent production, Will Kemp Returns: A Jigs Revival, looks instead at the farcical light comedies that formed a key part of the artistic experience of Shakespeare’s London. 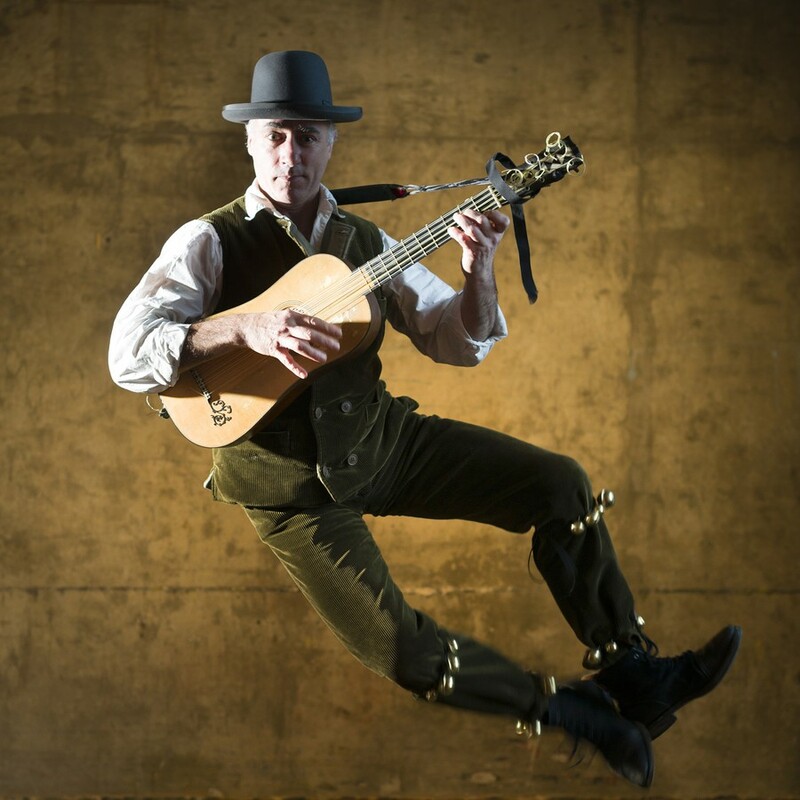 Will Kemp Returns consists of a collection of jigs (short song-plays) and other musical pieces about some performers from the Globe, including Will Kemp (the actor who played most of Shakespeare’s fools), who wake up the day after a performance. We watched them practice their craft in their off time, adding comedy to tragedy, and levity to gravity. Often this meant drastically reshaping what one might consider a Shakespearean classic: The very first song, for example, was a condensed version of King Lear. While it was distressing to some audiences (myself including) to see Shakespeare’s opus treated in this way, it certainly provided a good contrast between the art forms of the two Wills. Powering this production is the performance of Steven Player. While Player also does an impressive job in the jigs, he shines best as Kemp himself. His rendition of Kemp is full of energy and wit, even when he’s draining the bottle a bit too deep, and Player augments his considerable acting talents with his singing, instrument-playing, and dance. His Kemp is the consummate performer and—yes—a jaded performer, one who always understands of the power and importance of art. Indeed, soon after taking the stage, he extolled the virtue of the performer’s life to the onstage band. Most wonderfully, one could see in his performance the marks and mannerisms of the great Shakespearean comic parts—Bottom, Falstaff, etc. You could see the character for whom these roles were written and whose profession was inhabiting these roles. However, I would be remiss to imply that Player merely adds his other talents on top of his acting, for Will Kemp Returns is a show that celebrates more than words in verse. In this piece, dance and especially music were championed on their own merits. The band was onstage throughout the show; furthermore, as opposed to Elizabethan plays written in verse, the actors sang all their lines in time with each jig’s accompanying song. At one point in the show, Will Kemp, tired of strutting his stuff, bade the band to strike up whatever tune it pleased. What followed was one of the show’s most compelling moments—three purely instrumental pieces, accompanied by dancing and mute performance. When Player and Ellen Hargis accompanied the band on their guitars, they turned to face each other as the music took on a particularly tender strain. They danced and played, looking only at each other, reminding the audience that their music is a language itself. The show went to pains to stay true to the work of Elizabethan comic masters, performing jigs from real publications and donning period costumes. Indeed, authenticity was a focus of the production throughout: The intermission was filled by Tim Macdonald and Jeremy Ward, a pair of Scottish fiddle players who focus on period-accurate music. Even the way the cast swapped pieces around from scene to scene to draw up new characters was based on Elizabethan practice. The production drew from the period in the same way a play by Shakespeare or Marlowe might, despite being constructed from several different period sources. All in all, Will Kemp Returns was delightful and enchanting. For fans of the Bard, it offered a unique new perspective; for those of dissenting opinion, it perhaps offered the levity and comic appeal they desired. The attention to detail and love for the material from everyone involved shone through and paid off in an homage worthy of the Will Kemp and his kith.